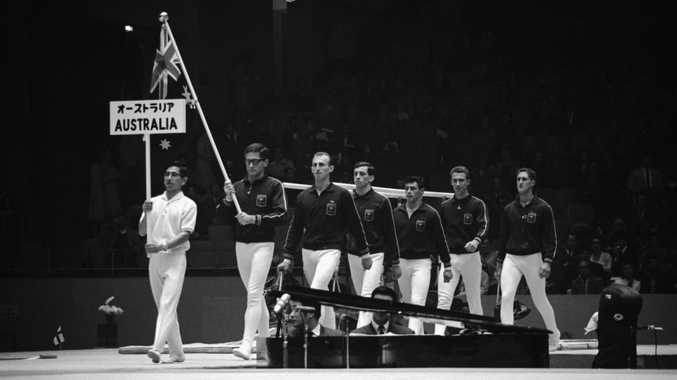 LEADING OUT: Wondai-born Graham Bond leads the Australian gymnastic team Douglas McLennan (NSW), Benny de Roo (NSW), Barry Cheales (QLD) and Ted Trainer (NSW) in the 1964 Tokyo Olympic Games behind Japanese Australian gymnastic bearer Okamura San. RAISED in Kingaroy, Taliqua Clancy will head to Rio de Janeiro in 49 days time to represent Australia in beach volleyball at the Olympics. But she is not the only athlete with South Burnett Olympic ties. Wondai-born Graham Bond was a champion gymnast who competed in the 1956 games in Melbourne, 1960 games in Rome and was the Australian captain in the 1964 Tokyo games. 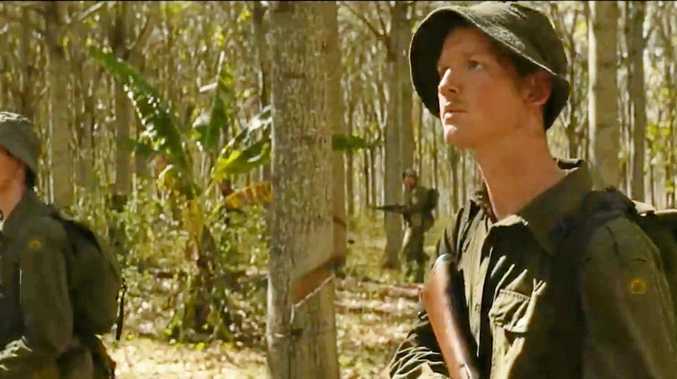 Bond was born on May 6, 1937 and went to school at Wondai State School from 1942 to 1950. Bond was crowned Queensland Champion gymnast, which he held up until 1961 and then reclaimed it in 1964. Bond recounted in Wondai School Centenary Book, which is kept at the Wondai Heritage Museum, sport was a major part of his childhood. "Sport was an important part of our activities. We had regular football or cricket matches, depending on the season," he wrote. Bond competed in high jump, sprints and relays in interschool competitions. According to Dr Tony Mathews PhD, the author of Heartbreak Hope and Harmony, Bond was also one of Wondai's top bowlers. He was introduced to gymnastics through the National Fitness Council which had an array of equipment - coir mat, parallel bars and trapeze - at the Wondai showground pavilion. "I always volunteered to be the small one at the top of pyramids for some display or other," Bond wrote. "The school playground was another development site - really high swings with plenty of room and giant camphor laurel trees which we weren't supposed to climb but did. "Then there was the springboard and diving tower at Ficks Crossing... where we soared and somersaulted whenever we could." In 1961 Bond was awarded a Rhodes scholarship at Oxford University, where he studied philosophy, politics and economics. Bond was one of many Rhodes Scholars who competed in the Olympics since the 1908 London games. In his three Olympic games, Bond did not do particularly well. His highest place finish was in the men's horizontal bars in Rome (1960) where he placed 65 out of 130. Bond carried the Olympic Torch into Wondai from Murgon before the 2000 games in Sydney. "When I was asked whether I wanted to carry the Olympic Torch on its way to Sydney, I had a good look at the planned route and saw that it passed through Wondai," he wrote. "I had fond memories of tumbling and building pyramids with the National Fitness in Wondai and put myself down to carry the torch there."